With a reliable supply of good dry logs becoming an increasingly hard prospect my thoughts turned to what type of reclaimed ‘wood’ based eco log products were available on the market today. WOOD FUEL ONLINE -REVIEWS OF THE 5 BEST ECOLOGS AVAILABLE ONLINE. We have taken the best ecolog products available online today and given them a trial in our Hobbit stove. Our test was to determine which performed the best in 5 areas. Log Lighting – How easy were the logs to light at the start or when refuelling your stove? Log Flame brightness – How bright and for how long was there a bright flame? Log Burn time – How long do the logs burn for? Log Heat output – How hot do the logs burn? Log Storage – How easy are the logs to store and transport? We gave each a rating out of 5. Each product in turn then given an overall rating out of 5. Our aim is give the wood stove user a helpful resource to see how the products out there really do perform in reality. With the dryness and quality of ‘real’ logs being so varied the market for ‘ecolog’ products is certainly on the rise so working out which are the best value logs to buy is a good idea. We have tested them all out in our Hobbit stove to see how user friendly each ecolog product is. This information will help you select the best choice of wood fuel for your wood burner. We have asked the simple questions that we thought you would want the answers to when it comes to buying wood fuel online. If you are fed of buying rubbish wet logs from the garage or dodgy log merchants then consider the benefits of switching to burning ecologs in your wood burner. They have a very low moisture content which makes them easier to light, burn hotter and cleaner and leave virtually no deposit in your chimney or chimney liner. Online wood fuel review No.1 – HOTMAX FUEL LOGS. 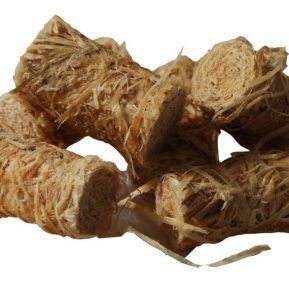 Online wood fuel review No.2 – VERDO WOOD BRIQUETTE LOGS. Online wood fuel review No.4 – CERTAINLY WOOD HEAT LOGS. 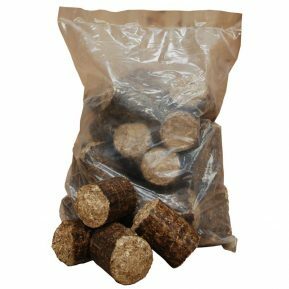 This versatile eco-log wood fuel briquette is formed from birch and has all the attributes you look for in a value for money eco friendly, carbon neutral wood fuel source. They are made buy Lekto Woodfuels and come in 10kg packs. They light very easily using the woodstove fire lighters and burn brightly for a long time. These lovely dry birch logs are the ultimate for all tiny woodstove owners. They come in nets of about 7kg and are a combination of sawn chord wood and split logs. They scored a 5+++ on my score! No argument, simply another brilliant online woodfuel resource for the stove owner. If you want to burn real wood logs then do not waste your money by buying logs from a garage forecourt with no idea of how dry they are. These come in a heavy duty cling film wrap which encases each 6 log 10kg pack completely so they can be stacked outside and uncovered. This gives them a real advantage over traditional logs. They lite really well with only a single firelighter and are quick to produce a good lively flame. The expansion rate was less than some other similar products but the length of burn was excellent. For small stoves they are perfect because they break easily into smaller logs. This type of eco-log can often be solid but this Nielsen briquette has a central hole, which certainly makes for a brighter flame pattern as the flames come out of either end. If you wanted the perfect ecolog for my tiny woodstove then look no further than these perfectly formed Hobbit sized logs. Made from old coffee grounds they are a brilliant recycling story and yes they actually do smell of coffee when they are burning! It reminded me of the smell of chocolate bananas from the bbq. Or maybe a proper coffee house where the coffee was roasted on the premises. 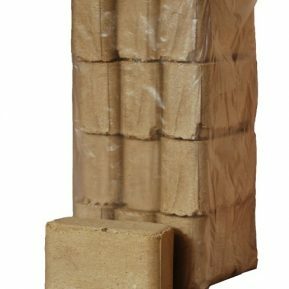 These are without doubt premium quality eco log briquettes, each one perfectly formed and coated with a wax to aid easy lighting. Our fantastic Hobbit Firelighters are made from wood wool which has been soaked in clean candle wax. This is a 100% natural product with a much longer combustion time than conventional firelighters. They also leave your hands free of unpleasant smells after contact. With an average burning time of about 10 minutes, ideal for lighting up our Wood Briquettes in order to get the fire on its way. This is our prime, UK made, heat ecolog made from very clean recycled wood fibre , i.e. packaging materials and disused pallets. It is the cleanest recycled ecolog we can source, with no MDF or PVC chips in it. The short random length make it ideal for small stoves like our Hobbit stove. The average burn time of about 2 hours, which means this product is a great alternative to coal when attempting overnight burning. If you like the environmentally friendly idea of putting waste wood to good use by recycling it into wood fuel then this fantastic product is for you ! 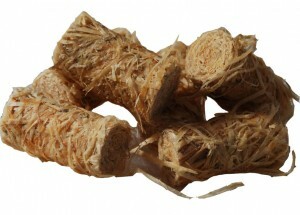 Our sawdust briquettes are made from compressed Alder and Birch sawdust. They burn for about 2 hours with a minimal ash content. These briquettes also hardly expand, keeping their shape and not breaking up, they are brilliant for putting in the wood burner last thing to keep the stove burning for as long as possible into the night. They are perfect for using in all woodburning stoves but especially our little hobbit stove due to their compact size. Easy to light and long burning with an excellent heat output, they are easy to store and consequently make a great alternative to coal or traditional logs. These are the densest ecology/briquettes on the market. Pini Kay ‘Hot Rods’ are made on an extruder press which prevents this type of ecolog from expanding when burning. When fully glowing it resembles a glowing rod of steel just drawn from a furnace, hence we named them ‘Hot Rods’. They are easy to ignite, have a very low moisture content and come shrink wrapped. You could argue that this type of product is the fuel of the future for woodburner owners. There are smaller round briquettes help to get the fire started and others which will burn longer and put out heat over a considerable length of time. Some are better for stoves and others are better for open fires. GREATER HEAT OUTPUT PER KG. 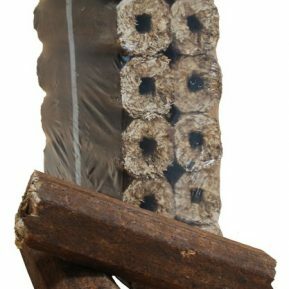 We have carefully selected what we believe to be the best, most cost effective ecologs and fuel briquettes available in the UK today. 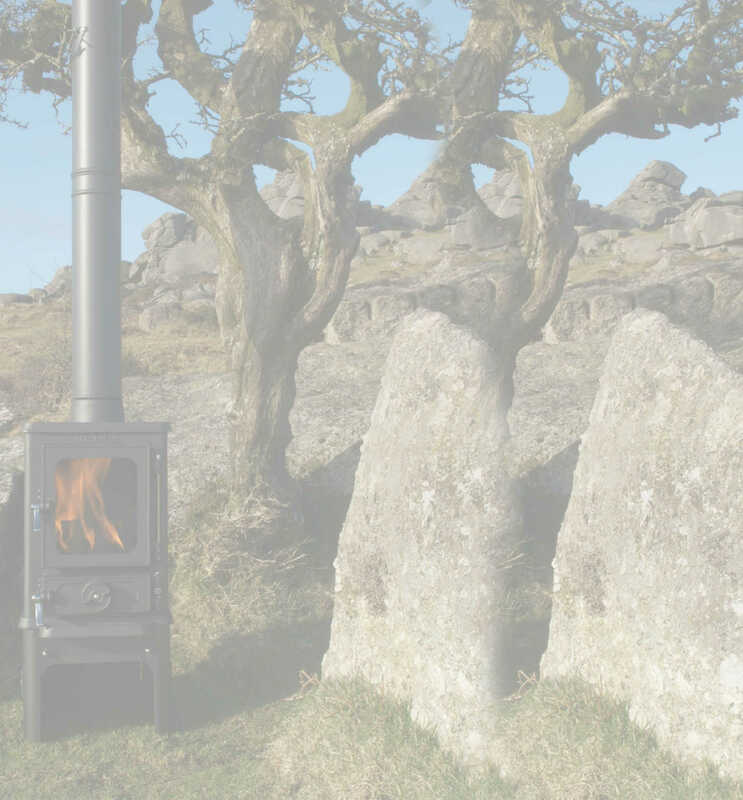 Our new selection of carbon neutral fuels in our online fuel store have been specially chosen to suit the compact proportions of our Hobbit stove. 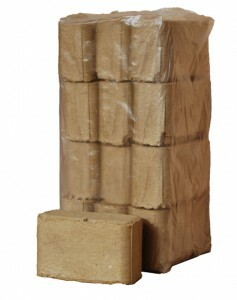 Our ecologs and briquettes will give you lovely long lasting heat performance and great value for money heating. Our ecologs and briquettes are manufactured from dried sawdust and other forestry waste products. This makes our ecologs and briquettes a renewable source of energy, reducing your overall carbon footprint. Not a single tree has been felled in order to produce our ecologs and briquettes. Eco-fuel which is efficient, reliable, cost effective, environmentally friendly and carbon neutral. The little ash that is left can evenbe used as fertilizer in your garden, so nothing goes to waste, everything is recycled. Sawdust, which is a waste product of the wood processing industry, would otherwise be left to rot away but instead is kiln dried and compressed into briquettes or ecologs. As the sawdust is compressed, the lignin in the wood acts as a natural adhesive binding the particles together to form an ecology or briquette. There are no additives making each ecology and briquettes a natural and green product. As the sawdust from which they are made is dry (less than 8% moisture) they burn well with the lively flame normally associated with good dry hardwood logs and give out a tremendous amount of heat which in trials seems equally if not better than traditional hardwood logs. Whilst they give out a similar heat out put to coal they do not leave bucket loads of ash. Our ecologs and briquettes have only 0.6% ash content. This clean burning low moisture fuel means your wood burning stove runs well and hot leaving your stove window clear and clean with no build up of soot. This type of ecolog and briquette are the wood fuel of the future as they are easy and convenient to handle, as well as being carbon neutral. Woodburning stoves have increased greatly in popularity and consequently the log merchants yard is seldom full. Logs that really need 2 years to dry are instead left more like two weeks before they are dumped on a driveway and offered as ready to burn. These logs and logs like them which are often bought from the garage on the way home are often a very poor quality and give out very little heat. The ecologs and briquettes give you the reliable performance you need from your fuel if you want to have efficient reliable woodburning stove performance. They are also cheaper than your average firewood, when comparing like for like. 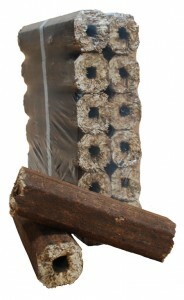 Briquettes, as they are a consistently dry wood fuel, are sold by weight. Firewood, with a varying content of moisture, is sold by volume in a cubic meter bag. 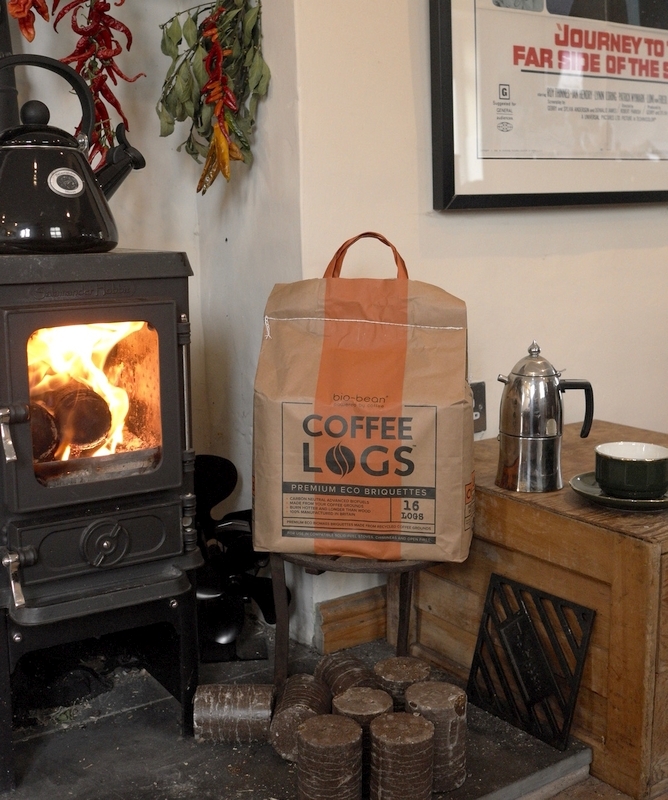 This ‘tonne’ bag filled with logs actually only contains about a quarter of a tonne in weight! You would need to buy about 40kg of firewood logs to equal 10kg of briquettes. You still wouldn’t have the same heat value, as briquettes burn hotter, being dryer than your average firewood. To make up for that you would need to buy another bag of logs.